The latest jailbreak to be released into the community, dubbed Meridian, has benefited from its first update taking it to a Public Beta 2 status. 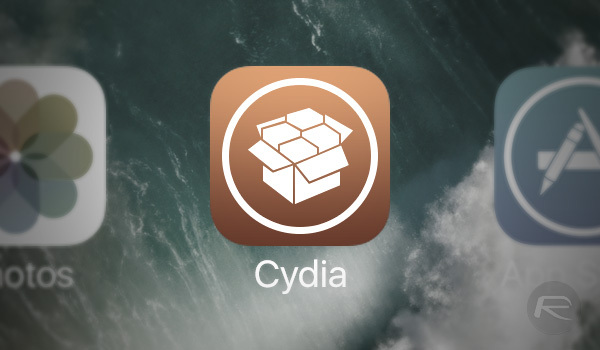 The jailbreak, which uses multiple open-source components by various community figureheads, now comes with a number of fixes, including a fix for Cydia crashing. 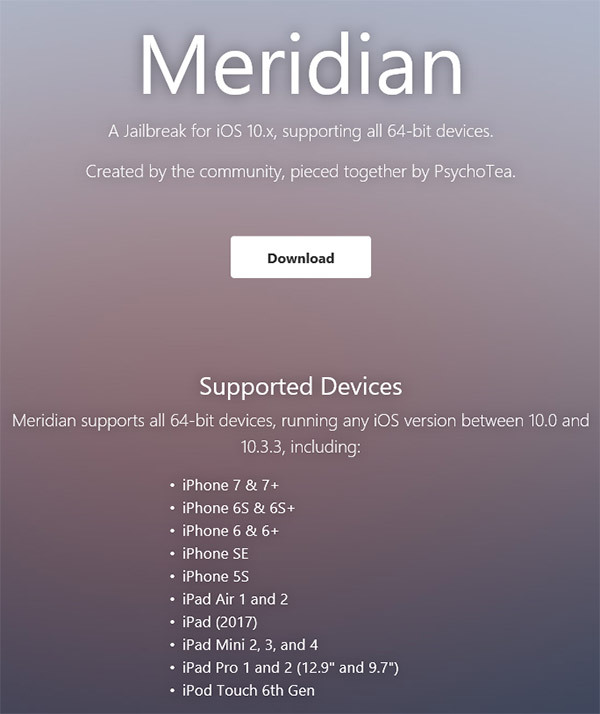 As you may know by now, Meridian is the latest jailbreak to be pushed out into the community for Apple’s 64-bit devices running iOS 10.x. After originally being teased with various progress updates, Meridian makes use of a “fundamental” exploit by Google’s Ian Beer as well as work carried out by Siguza to bundle the aforementioned exploit into a usable format. This latest release looks to carry on the progression of the tool and fix a number of important issues that gives power back to the device owner when trying to resolve specific niggles, such as reinstalling a non-functional Cydia. The tagline for this particular jailbreak is “created by the community, pieced together by PshycoTea” which goes some way to showing just how much work has been put into this by other developers and researchers in the community. You only need to check out the credits on the website to see how many individuals were involved, both from an exploit perspective and just providing technical help and knowledge when it was needed. If you are running a compatible iPhone or iPad on iOS 10.x, and want to get it liberated using Meridian, then you can find out download information below on how to get the latest version. If you have had the first version of Meridian, released just yesterday, and have been having issues with it which have now likely been fixed with Public Beta 2, then you can download the latest version with immediate effect. The second release is hosted over at the official Meridian website at meridian.sparkes.zone and will give you instant access to the Meridian compiled IPA file. What about the tethered ans untethered part? I’m running iOS 10.3.2 on an iPhone 7 Plus, I installed the Meridian beta 2 IPA using Cydia Impactor on MacOS. After successfully running the application after about 10 failed attempts, Cydia installed but keeps crashing. I tried re-installing Cydia, but it keeps crashing. Is anyone else having a similar problem, or possibly even found a solution? Also, have you had a problem with the sources not being there at all and an error message as soon as launching the app? I had the same problem on 10.3.1, its important to get beta 2 instead of wasting time trying to SSH Cydia back to life. The errors happen I assume because saurik is updating the substrate still. Have you added any functioning sources? ?